Uniform order deadline for schools in Scotland. During our busy summer period don’t leave ordering your child’s uniform late. 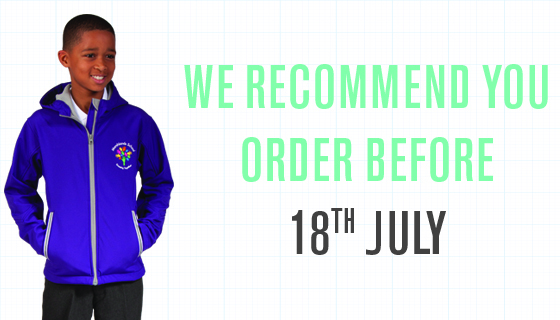 for schools in Scotland please have your orders in for the 18th July, to avoid disappointment.